Quinoa (Chenopodium quinoa), native to Peru, is a pseudo-grain crop grown for its edible seeds. 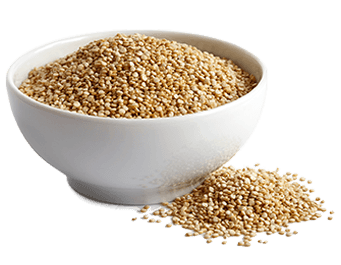 Referred to by the Incas as ‘mother of all grains’, quinoa has been consumed for thousands of years in South America, only recently becoming popular and recognized as a superfood. Quinoa is gluten-free, high in protein and one of the few plant foods that contain all nine essential amino acids. It is also high in fiber, magnesium, B-vitamins, iron, potassium, calcium, phosphorus, vitamin E and various beneficial antioxidants including the flavonoids quercetin and kaempferol.